Those are the words Father Vibert Stevens remembers as he shared his early encounters which ushered him into Marriaqua Secondary School (MSS) in the late 1970s. As a youngster from the Grenadine island of Canouan, his ambition was similar to that of many of his counterparts: to get a job, own a house and have a family. But it was through the insistence of the then parish priest of the Southern Grenadines, Father Devonte, that his chance of a secondary education materialized. 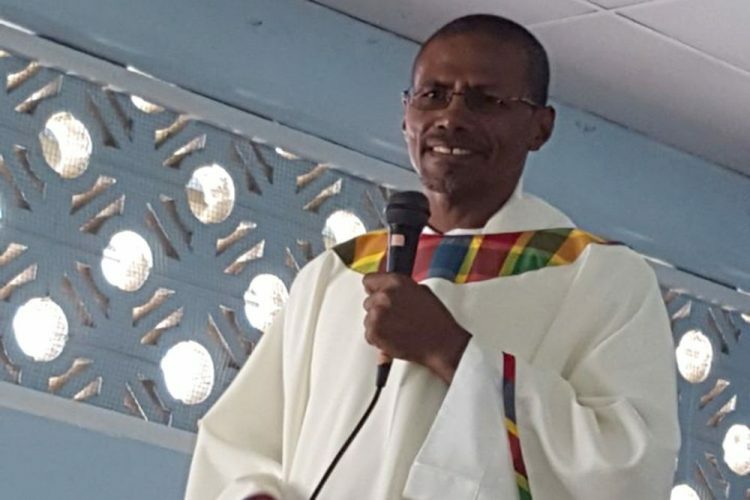 Fr Devonte had visited the St Johnâs RC parish in Mespo on many occasions and pleaded with the parishioners to assist the young people of Canouan in realizing their dreams. They needed a home environment; they needed an education; and what better avenue to turn to, than those of the household of faith. âI will take the boy!â were the words and promise of Lucy Miguel, a mentor, community activist and an awardee of the FCIB Unsung Heroes programme. For the duration of his secondary schooling, he and many others from the Grenadine islands, as well as the mainland, came under her watchful charge. By the time young Vibert Stevens entered the MSS, he would have exceeded the average age of entrance into secondary school. And he admits that he struggled academically, failing miserably each year. He is, however, very grateful to Sr Maureen, a young novitiate, who had recently assumed the role of principal at the school, who pleaded with him. A series of lunchtime and after school classes were organized specially to assist him, under the guidance of Sisters Rosemarie and Ivy. Fr Vibert gave special mention of Gillis âGittâ Francis, another stalwart teacher, to whom he was assigned for further assistance. He, however, persevered and through a series of compensation passes, combined with an acquired zest for success, he took his Cambridge/CXC exams and gained his six treasured passes. His schoolmates remember him as âalways wanting to pray long prayers at every assembly, representing his house and school in public speaking competitions and being a student of exemplary conduct.â It was during his secondary school life that he felt the call to the vocation of priesthood. Fr Vibert delivered a stirring homily at the 50th Anniversary Thanksgiving Mass at the St Josephâs Convent Marriaqua (SJCM)/MSS last Friday, September 15. He admonished the stakeholders of the school that they work towards the creation of an âIntegrated Beingâ and entreated the wider audience to choose wisely the higher goal â that of service.